Vincent Fonvieille, founder and director of the tour operator La Balaguère in the French Pyrenees, in this interview reflects on his entrepreneurial journey so far, the challenges and trends likely to impact his business and the Pyrenees as destination in the near future. He also introduces us to the French association of responsible tour operators, Agir Pour un Tourisme Responsable (ATR), of which he is the president. Vincent, as a passionate traveler, do you remember the first time you heard about sustainable tourism? What got you interested? 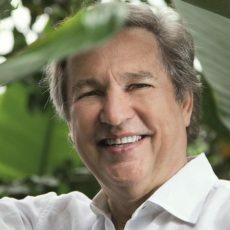 I first heard of sustainable or responsible tourism at the end of the nineties, when I was invited to the first national and international meetings on the subject. I have to say that my initial reaction was that for me, to have a respect for the environment, local populations, and for the people you work with, seemed like a normal and natural thing to do. That is the way I have always worked, and these were the fundamental values with which I started La Balaguère. I have always said that, with all sincerity, that I practiced sustainable tourism before it was even invented! Has your view on tourism and sustainability changed since founding your tour company La Balagùere? My view hasn’t changed but I have had the opportunity to put words into action over the years, in support of that view. The most notable contribution that I have made is being one of the founder members of the label ATR in France (Agir pour un Tourisme Responsable), Action for Responsible Tourism, and I am still President of the Association today. ATR was born in 2004, from the desire of ten tour operators in the adventure travel market to limit the impact of their businesses on the planet and its inhabitants. He said it in a most respectful way, but his comment left a lasting impression on me. We must never assume we know best. Which have been the main entrepreneurial or business challenges that you have had to overcome? 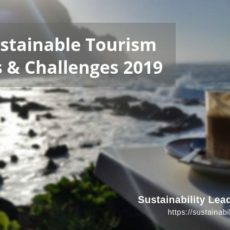 The biggest challenge for any business leader who has a strong desire to practice sustainable tourism is that, at the top of the chain, it is very easy to declare that you are going to do it. But it is much more difficult to put your words into action and to prove it! It is not easy to ensure that your policies are respected and observed all the way down the chain. La Balaguère sends its clients to every corner of the world and we have a policy, to give an example, that our porters in the Himalayas will never be asked to carry more than a certain weight during their hikes. Now, how do I know that the policy is respected? We have to educate our service providers down the line, we have to require them to have the same values, and we have to trust them. As a tour operator, are there any barriers that you think prevent local communities in the Pyrenees to participate more significantly in the travel industry? In the Pyrenees, in our small communities, the local population welcomes tourists with open arms. We have the capacity to welcome many more people without a risk of spoiling the environment or suffering from overcrowding. The most significant barrier for us is a shortage of services, such as hotels and restaurants. How do you monitor and manage your sustainability performance at La Balagùere? Promote and educate others about Responsible Tourism and the label ATR. After each annual inspection we try to set the bar higher for the following year. Julien Buot in his interview referred to poor commercialization as a key issue for the often-lagging success of destinations deliberately striving for responsible tourism. Do you share his assessment? Which other factors play a role, e.g. in France? Yes, I agree with Julian. It is not strictly correct to consider that responsible tourism is the opposite to mass tourism (I will come back to this point later) but it is often undertaken by smaller companies and in lesser known destinations. It can be hard to gain the publicity and notoriety that leads to success, but nowadays everything revolves around the internet, and knowing how to use it to the best effect is the key to success. The other challenge is, of course, finance. It is a hard fact that if you are going to employ people under correct conditions, with a fair wage, to send your clients to restaurants that use local products, to try and use energy saving transport, it is more expensive to produce your trips. Do your clients care enough to pay more for a sustainable holiday? We recently carried out a survey where we asked our clients if the fact that we were labelled ATR had an impact when they were choosing us – 70% said that it did. We then asked if they would be prepared to pay more to use a company that was labelled ATR – only 21% said they would! There lies the challenge. Which sustainability challenges are the most crucial for La Balaguère to address in 2018 and 2019? Without doubt the biggest challenges that face us are climate change and the carbon footprint that we leave when we travel around the world. This is tourism’s biggest paradox and it is something we are going to have to do a lot of serious soul searching about over the years to come. We may be able to measure our carbon footprint, we may even be able to ask our clients to contribute financially to help offset carbon pollution, but is this really enough? We can’t escape the fact that flying around the world in airplanes is irrevocably damaging our planet. The other huge challenge that we have at La Balaguère, bearing in mind that we send our clients to virtually every country in the world, including some of the poorest, is how to introduce all aspects of responsible tourism to our service providers. We may have a policy, for example, that we will not use any plastic, or that it must always be recycled, but for a guide in a very poor country, whose main occupation is feeding his wife and his children, what he does with a plastic bottle will be low on his list of priorities. We have to have realistic expectations and do our best to work within them. As president of ATR, can you tell us about the association’s key achievements so far? I think that our key achievements so far have been growing the organisation. Every year new tour operators are being awarded the label and I am pleased to say that there are some classic tour operators amongst the new recruits. If we can persuade tour operators who cater for the mass market to make small changes, then, by the very nature of a mass market, those changes could have a more significant impact than smaller operators having a very wide range of policies. We have also created an ethical charter for travellers, as well as being a point of reference for professionals and the public who are seeking information and advice on the subject of responsible tourism. We further offer training sessions for professionals who want to obtain the label. 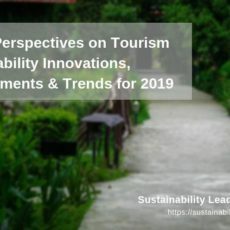 Which travel trends do you observe internationally that might support or hinder a better, more responsible tourism in nature and adventure destinations such as the Pyrenees? I think that a positive trend, certainly as far as mountain destinations such as the Pyrenees are concerned, is the growing interest in active holidays. There is a huge increase in people who want to walk, to explore nature, to escape from the madding crowd and discover new and remote areas. There is also a significant increase in cycling holidays, and with the development of the electric bike the mountain passes are no longer the sole domain of the super fit. Of course, transporting yourself on foot or by bike is a more sustainable way of taking a holiday. Reflecting on your experience with La Balagùere and Purely Pyrenees, which advice could you share with mountain destinations around the world facing the consequences of unsustainable tourism (e.g. overcrowding)? I touched on the fact already that the vast majority of mountain destinations are not at risk of becoming overcrowded by tourism. In fact, tourism is the key to the survival of many communities that are losing their young population to the cities. The key is making sure that tourism has a direct impact on local communities in a positive way. That local people are involved, are engaged with, and are employed by tour operators. Local businesses must also profit financially from the tourists that arrive in the area. Your advice to tour operators who want to engage with responsible tourism business practices but don’t know where to start? To contact the ATR (in France) or with another similar organisiations in their own country. They could also refer to the ATR website and make contact with any of the organisations that already have the label. I am more than happy for people to make contact with me directly if they want further information and advice. 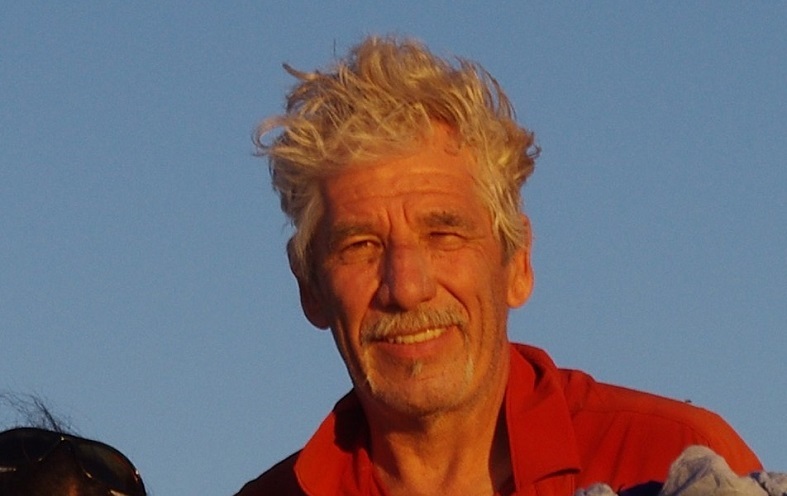 More about Vincent’s adventure travel companies Purely Pyrenees (English) and La Balaguère (French). Enjoyed our interview with Vincent Fonvieille of the French tour operator La Balaguère, on the business sustainability challenges and tourism trends likely to impact his destination, the Pyrenees? Spread the word!